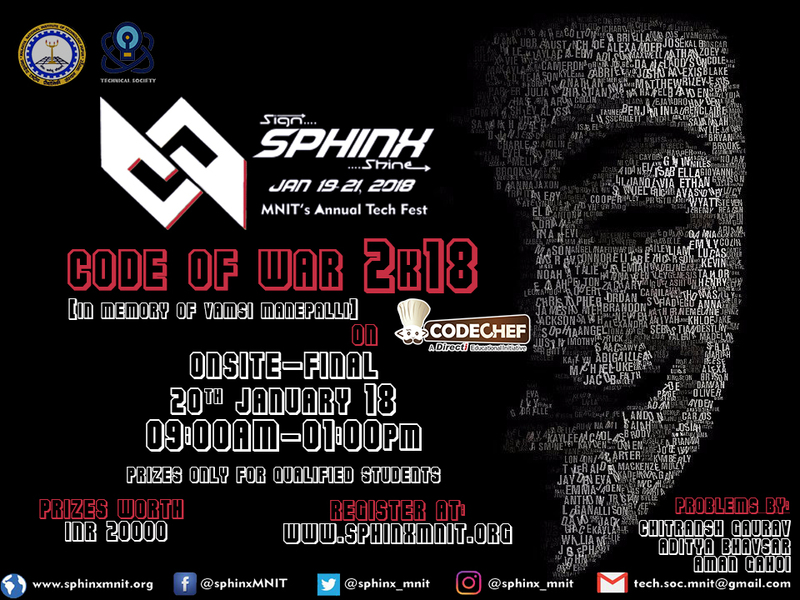 Organiser: The contest is hosted by Malaviya National Institute of Technology, Jaipur. Please contact 2015umt1751@mnit.ac.in for any queries during the contest. You can submit solutions as many times as you'd like, there are no pena#mce_temp_url#lties for incorrect submissions. Only your best correct submission will be considered.